Smart watch - what's your style? Do you need help with your New Year’s Resolution losing that extra wight? We have something that can help. The FitBit Versa is a smartwatch, featuring everything you’ve loved about Fitbit activity trackers — tracking activity, steps and your sleep. Once you download the Fitbit app to your smartphone, your Versa is tethered to your it via Bluetooth, allowing you do to those great smartwatch everyday activity, like see texts and taking calls. While it’s wider than the Apple Watch, it’s decidedly thinner and lighter, though functions very similarly to the Apple Watch in that with the turn of the wrist activating the screen so you can see the time, along side button clicks and swipes to check your activity, as well as access apps, which range from Starbucks to Amazon Alexa, and a growing number in between. If you are more conservative with your styling choices, The Hagen Connected hybrid smartwatch combines innovative technology with classic design. 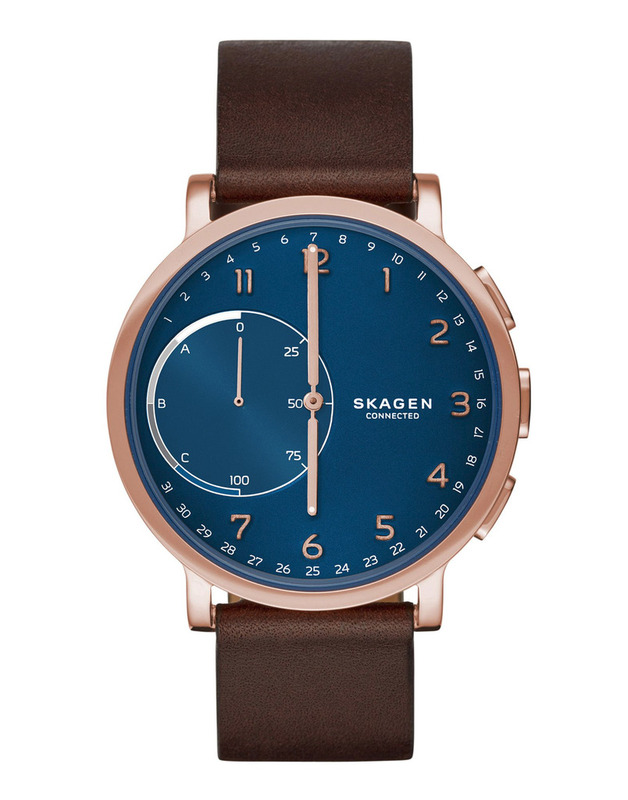 Features include automatic time and date adjustment, activity and goal tracking, sleep tracking, filtered smartphone notifications, dual-time function, alarm, and SKAGEN LINK technology, which allows the wearer to snap a photo, control their music and more—all with the push of a button. Hagen Connected is compatible with Android™ phones and iPhone® and syncs wirelessly with the SKAGEN app, where you can view your data and manage settings. The watch runs on a standard coin-cell battery with a four- to six-month battery life, so it never needs to be recharged. And the quick-release-pin construction makes it easy to interchange the ion-plated steel-mesh band with other 20mm leather, steel-mesh, nylon or silicone straps. 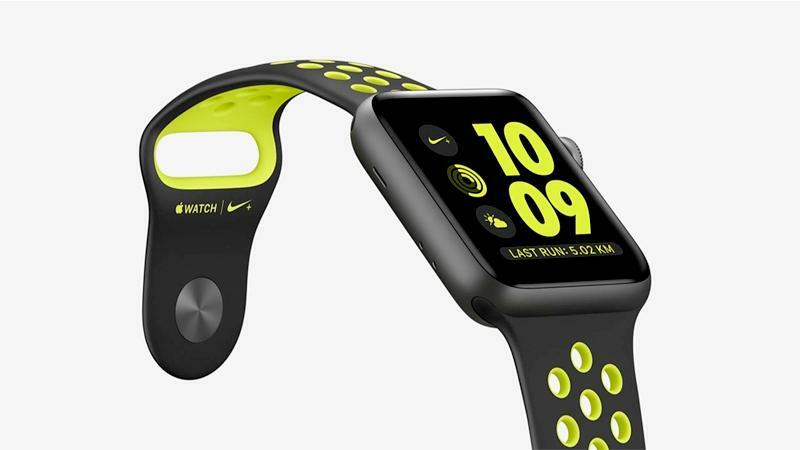 With features like built-in GPS and altimeter, Apple Watch Nike+ is designed to help you take your run to the next level. You can even pair your watch wirelessly with compatible gym equipment. Automatically sync your playlists for more motivation. And because Apple Watch Nike+ is swim-proof, you can take a post-run dip in the pool.